Tracey Sivak is a passionate, healthy foodie who creates simple and beautiful recipes that are based in classic culinary traditions but using modern better for you ingredients and cooking methods. 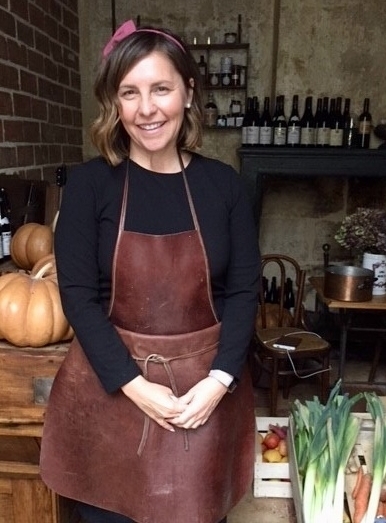 She seeks out local, seasonal and organic ingredients and draws upon her extensive international travels for her inspiration. If you are looking to learn how to incorporate healthy ingredients into your life but don't want to sacrifice flavour and fun you need to spend some time in the kitchen with Tracey! Tracey is a graduate of the Academy of Culinary nutrition and has attended numerous cooking workshops in France, China, Thailand, Spain, Morocco, Peru, Mexico, Costa Rica and Vietnam. She has a passion for local food and healthy eating and her energy and passion is contagious. Tracey's own health journey will inspire you to change your own life. She offers her readers real life inspiration through her own struggles, triumphs and set backs that will no doubt give you the confidence you need to make similar changes in your own life and become a whole food cooking master. Her simple techniques and joie de vivre will invigorate you. You'll learn new ways of cooking that will arm you with the knowledge and confidence you need to incorporate more nutrient dense foods into your meals without sacrificing taste and enjoyment. Healthy cooking does not need to be boring and Tracey has no interest in teaching deprivation or sacrifice but rather focuses on helping you find the joy again in eating by learning to cook and eat awesome food that will keep you healthy and happy for life! Seeing the world and experiencing life to the fullest have always been a major part of Tracey's life. She is always looking to plan an escape to a new place or to seek some solace in nature. These experiences continue to shape and develop her creativity and she always returns from her adventures eager to share those experiences with anyone who will listen. Her hope is that her adventures will inspire you to jump out of your comfort zone and push beyond what you might think you are capable of. Single female travel is her area of expertise and helping other woman gain the confidence to book their own adventures is her mission. Check out the travel section of the website for inspiration! When you sign up for my monthly newsletter you'll receive my FREE 7-Day Whole 30 approved meal plan which includes a grocery list, a pantry stocking list and over 40+ recipes!